absolved Oskar Kokoschka’s legendary “School of Seeing” in Salzburg. 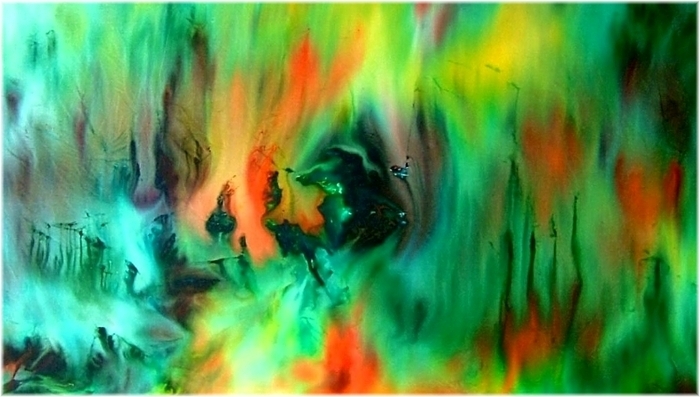 developed a completely new way of painting, the “Experimental Painting on Silk”. Since then she is a free-lance artist living in Salzburg. This artistic work on silk is a worldwide unique kind of art, an innovation. 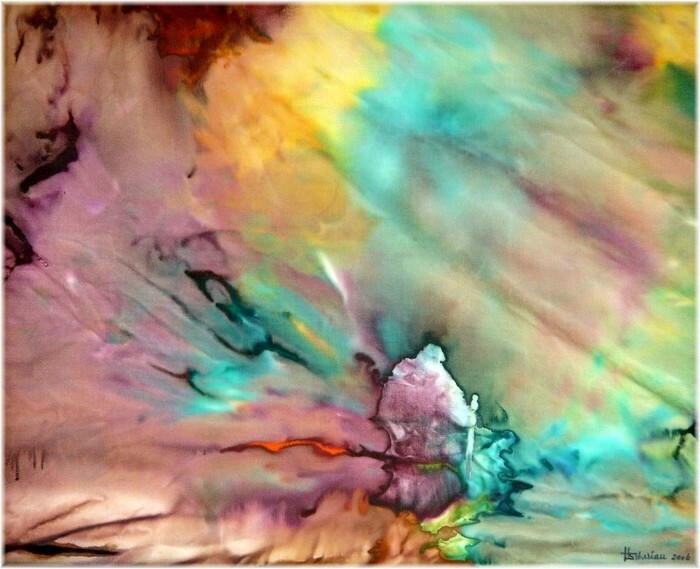 In spite of careful search no other artist can be found up to now in the established art scene, who paints on silk in the same way as Hanna Scheriau. 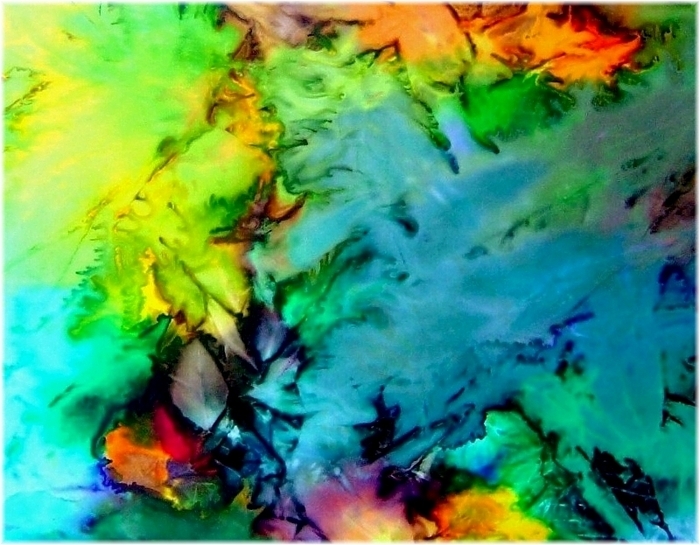 Silk is a medium for painting since thousands of years and extremely durable, much more than canvas. 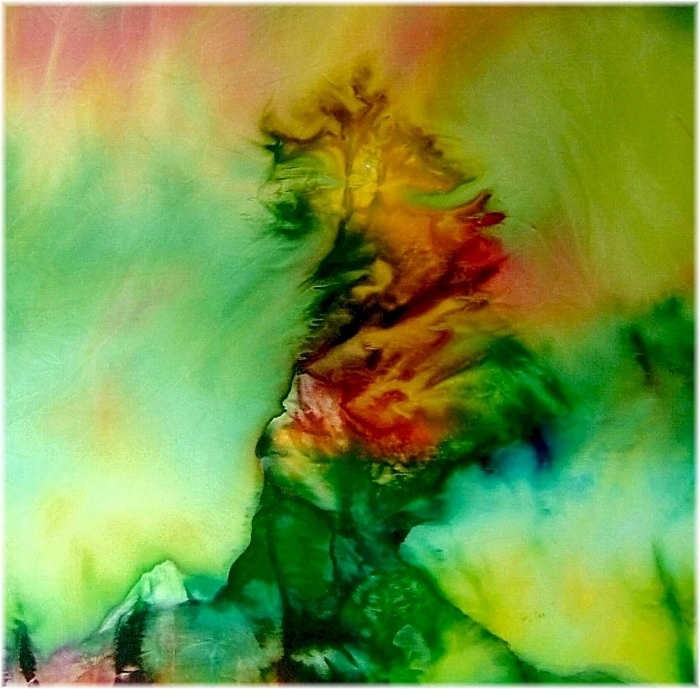 The silk colours for artists are liquid, they are not a bit photo-sensitive and have a special luminous power. but also in Asia and America. Her work has been prized in Italy, France, Russia, Germany, UK and USA. Paintings of Hanna Scheriau are found in collections around the world and are highly valued. 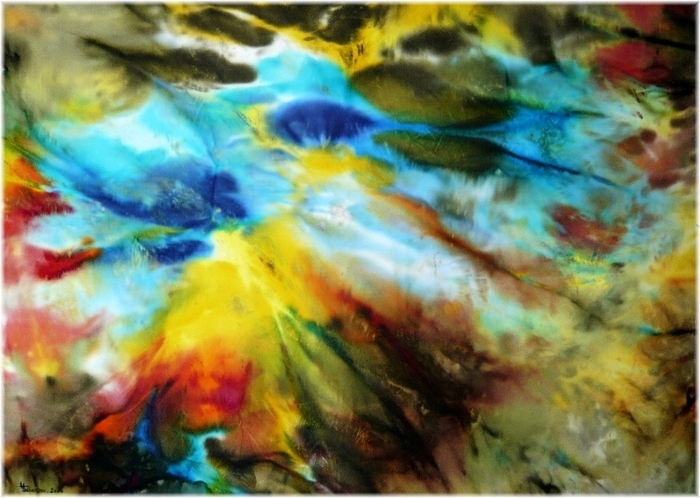 HANNA SCHERIAU has developed a completely new way of painting on Chinese silk fabrics. 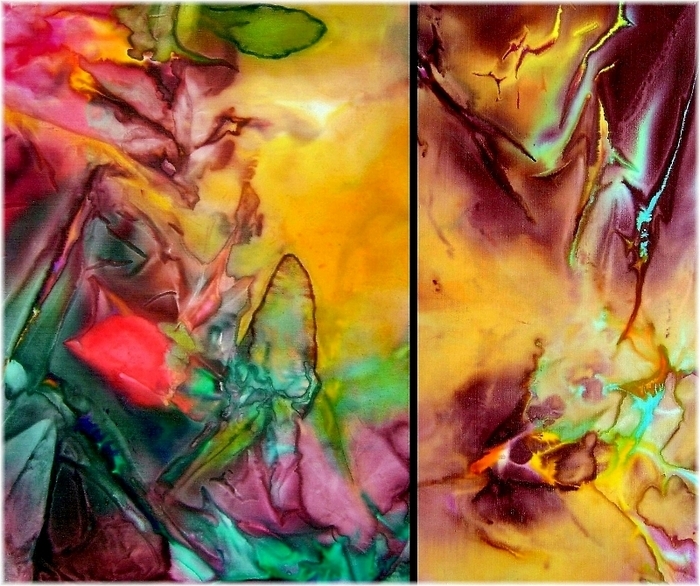 Her technique is an innovation worldwide and has nothing to do with the traditional methods of silk painting, batik and other kinds of painting on stretched silk, as is common in Asia. 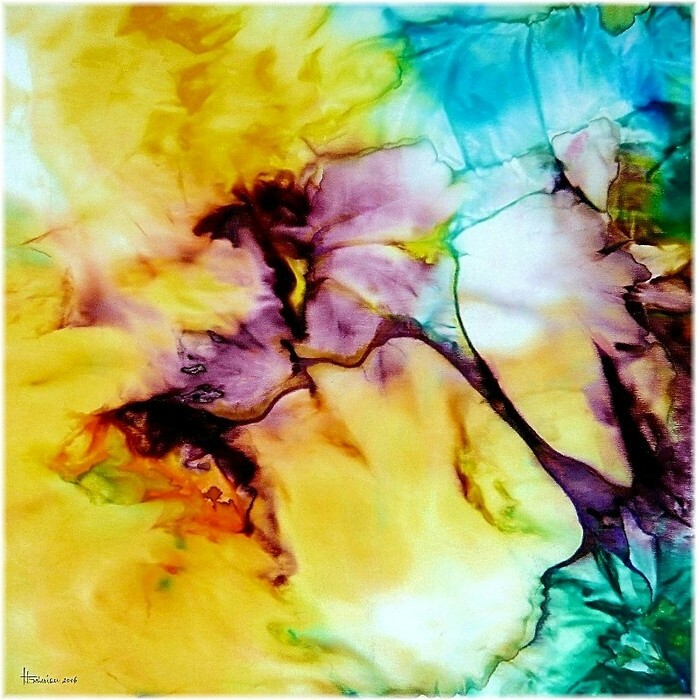 For Hanna Scheriau the untreated silk fabric while painting is free to move, which requires a great painterly skill and a special feeling for the choice of colors.In this way art works are arising which can not be made in other technologies. With this new technology each image - because of its theme - even requires its own individual style of painting. 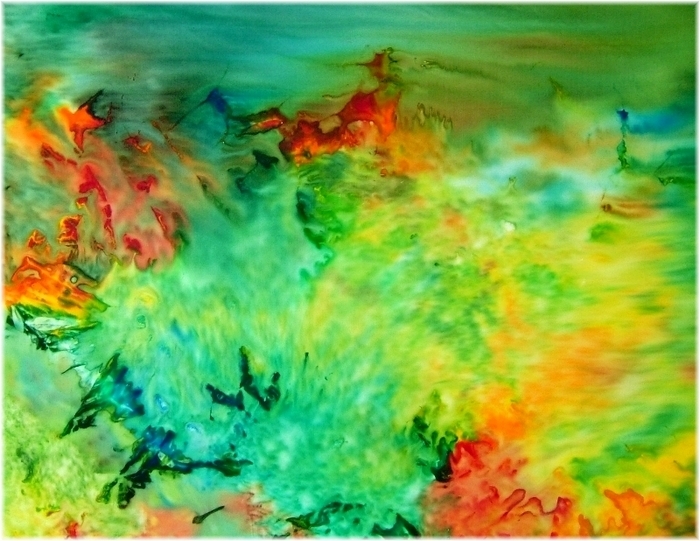 The paintings of Hanna Scheriau are highly valued worldwide. Nobody really knows how the big bang is looking. But big bang is not only a scientific phenomenon, it can be symbolic of a human theme as well. In a person's life there sometimes are events that change everything completely. Nothing is as it was, and suddenly something new begins, the darkness explodes in light of all colors and designs a promising future. Catharsis means in the ancient world (theater, tragedy) the liberation of emotional conflicts and inner tensions, a cleansing and purification. I think that today this theme is especially important for the people. 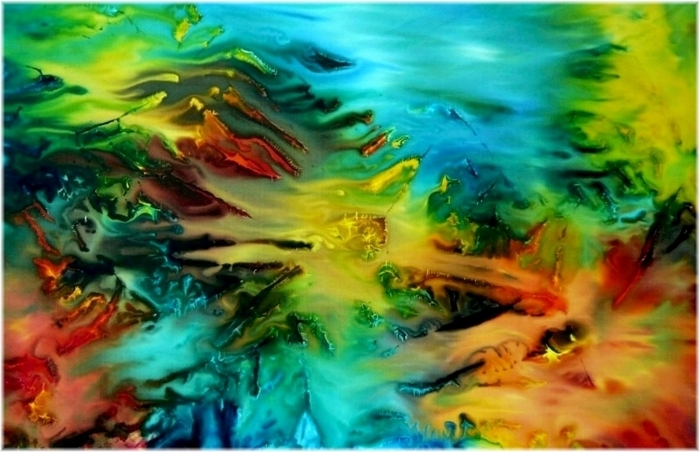 Looking at my painting ”Catharsis” you can feel inner soothing, as I was told. These words have made me very happy. The sea is always in motion, there are several reasons, as the normal high tide, storm tides, spring tides and seaquakes. Autumn is especially atmospheric, it is the season of fruit, harvest, and the colorful leaves. All nature is adorned with beautiful brilliant colors before the winter comes. It is a period of clarity. The tsunami of 2004 inspired me to make this painting. I am of the opinion that humans cannot understand the signs of nature any more, but the animals can. Nature has enormous powers, but it is not bad as people think. There is no present without a past. The spirit of the past affects human life.